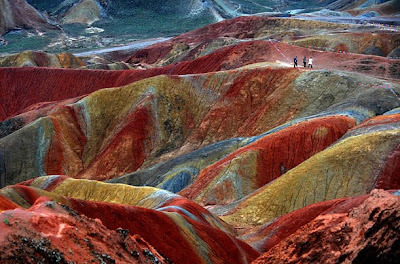 This unique geological phenomenon, known as a Danxia Landform, can be seen in several places in China. This example is located in Zhangye, Gansu Province. The color is a result of millions of years of accumulated red sandstone and other sediments which have dried and oxidized.